Are you selling your house soon? Include the following items on your to-do list as part of your preparation for the sale. It’s never too early to start packing, especially if the home sale is impending. You can start by slowly going through furniture and appliances you want to keep and let go. Consider selling the latter with the home− a lot of home buyers are always willing to purchase used items as long as they are in great condition. One way of disassociating yourself from the property is by storing personal effects, such as photographs and family heirlooms, away. At the same time, you’ll be preparing for your move as well. By de-personalizing every inch of the home, you’re enabling prospective buyers to imagine themselves living in the property. Pictures of you and your family might distract them. It’s also important to go through every room to get rid of junk you’ve accumulated, such as stacks of magazines and other knickknacks. You can donate these or even sell them. As for items you’d like to keep, make sure you store them separately with clear labels. 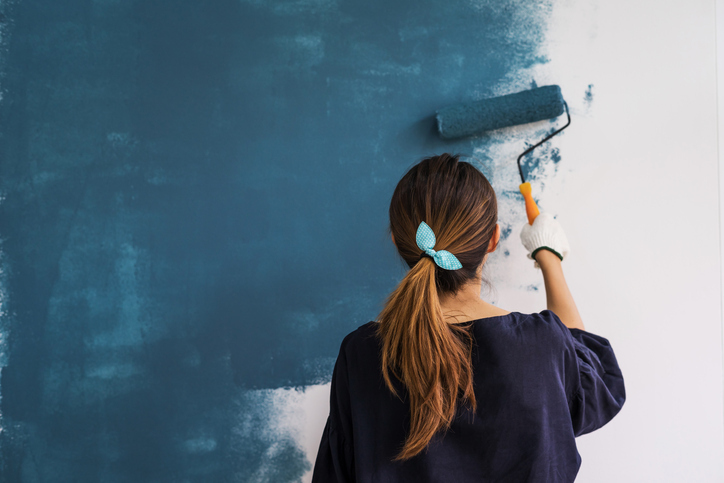 A fresh coat of paint, both inside and outside the home, can do wonders for the property. It can increase curb appeal and can even make the house feel brand new. Should you decide to do this, stick to neutral colors such as white, off-white, taupe, and dove gray. They’re easy to dress up and can complement a variety of looks for the home. Most importantly, they won’t turn potential buyers away. Replace door knobs, locks, and other hardware. Patch holes and replace cracked tiles. Install new lighting, inside and outside the home. Have the roof checked to see if it needs come repairing. Fix flower beds and landscaping. When you’re selling a home, especially in a seller’s market, first impressions matter. You can make a positive and lasting impression on potential buyers by improving the house’s curb appeal. You can do more than applying a fresh coat of paint and improving the landscaping. Decorate the entryway with a welcome rug in an attractive color. Make sure the walkway and sidewalks are clean. Dress up the property according to the season− flowers for spring, nautical-themed decor for summer, Halloween for fall, and holiday wreaths (and lights) in the winter. If you’re still looking for more inspiration, check out this helpful article by HGTV, one of the leading authorities on home design and improvement. Midtown Realty, LLC has a lot of home-selling tips and tricks that will help you sell your home for top dollar to the best buyer. Connect with us today at 405-600-7276 or info(at)midtownrealtyokc(dotted)com.